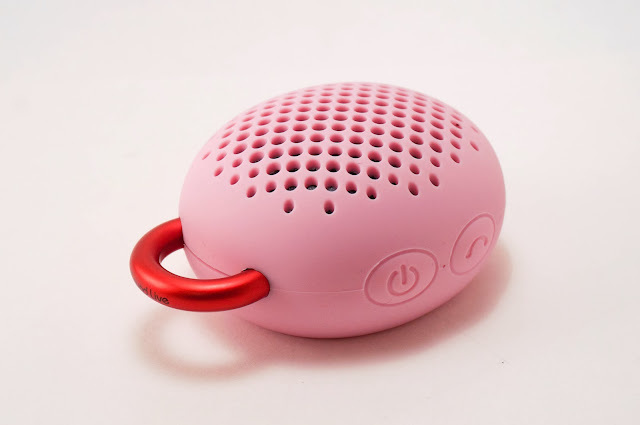 We have another bluetooth speaker in the house and this one is even smaller and more portable with the ability to clip to just about anything and it comes to us courtesy of Divoom, dubbed the Bluetune Bean. Aptly named the Bean based on it's size and shape, comes in an assortment of vibrant colors, houses a single speaker, and a loop to hook a carabiniere to make it easy to take on the go. On top of being small in size, Everything about Divoom's little Bean screams small, it is time to see if the minimal size and price result in sacrifice in sound or if this will be like Jack's little magic beans. This little speaker gets loud as I do not think I ever had to turn it up more than half way. Be careful though because once the volume gets up to around seventy five percent it does start to get distorted. I mainly used this speaker for personal audio, clipping it to my bicycle brake cable and on my beltloop when skateboarding. The hook in which I clipped to is very sturdy and the Bean is wrapped in rubber to allow for the impact of clumsy hands and has a microphone built in to take calls on the go without having to stop what you are doing to access your smartphone. This pocketsized speaker was clear during playback and had significantly better sound quality than the previously reviewed BluetuneSolo from Divoom. 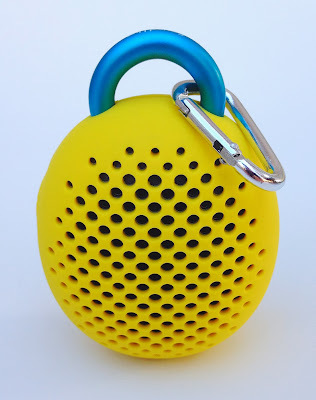 I would not use this speaker when entertaining as it does not have the same output as those that have multiple drivers, but it was great on the go and being able to clip it to my persons, backpack, bike, etc. was incredibly convenient. Unfortunately my Bluetune Bean did not include the clip(carabiniere) that was advertised on Divoom’s site, but luckily I have some lying around from other portable speakers, so I got to experience the Beans portability as intended. The speaker totes six hours of playback time which is more than I got from the previously reviewed TouchTone and while I could take calls from the speaker it did lack onboard controls. 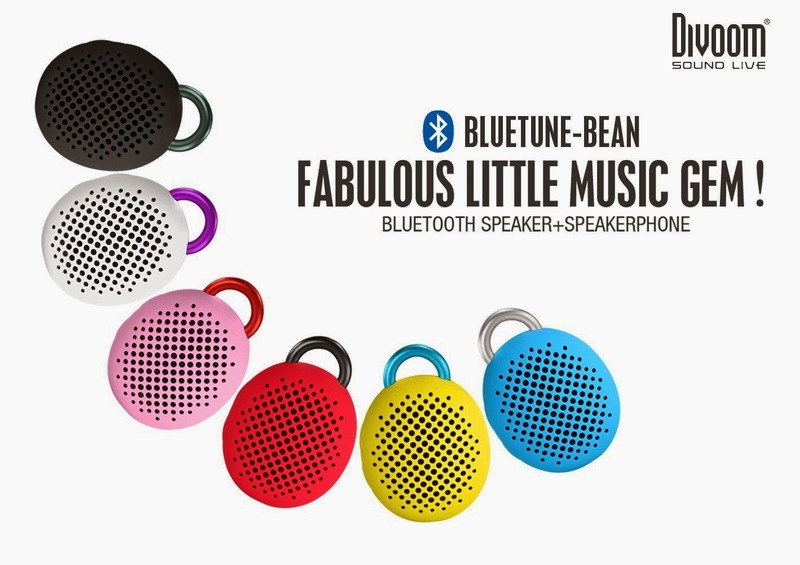 Divoom’s Bluetune Bean is available now in a variety of six color combinations and priced on the Divoom site at $29.99.